In a study to be published June 27 in Cell Reports, a team led by Thomas Rando, MD, PhD, professor of neurology and neurological sciences and chief of the Veterans Affairs Palo Alto Health Care System's neurology service, has identified characteristic differences in "histone signatures" between stem cells from the muscles of young mice and old mice. The team also distinguished histone-signature differences between quiescent and active stem cells in the muscles of young mice. "We've been trying to understand both how the different states a cell finds itself in can be defined by the markings on the histones surrounding its DNA, and to find an objective way to define the 'age' of a cell," said Rando, who is also director of Stanford's Glenn Laboratories for the Biology of Aging and deputy director of the Stanford Center on Longevity. While all cells in a person's body share virtually the same genes, these cells can be as different from one another as a nerve cell is from a fat cell. This is because only a fraction of a cell's genes are actually "turned on" — actively involved in the production of one or another protein. A muscle cell produces the proteins it uses to be a muscle cell, a liver cell produces those it needs in order to be a liver cell and so forth. Rando's team thinks the same kinds of on/off differences may distinguish old stem cells from young stem cells. In human cells, the DNA in which genes are found doesn't float loose inside the cell nucleus but is, rather, packaged inside protein "husks" called histones. Chemical marks on the histones, which sheathe our chromosomal DNA in each cell's nucleus, act as "stop" and "go" traffic signals. These signals tell the complex molecular machinery that translates genes' instructions into newly produced proteins which genes to read and which ones to skip. 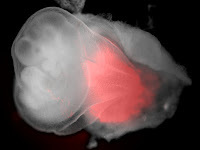 In 2005, Rando and his colleagues published a study in Nature showing that stem cells in several tissues of older mice, including muscle, seemed to act younger after continued exposure to younger mice's blood. Their capacity to divide, differentiate and repopulate tissues, which typically declines with an organism's advancing age, resembled those of their stem-cell counterparts in younger animals. This naturally led to curiosity about exactly what is happening inside a cell to rejuvenate it, said Rando. One likely place to look for an answer was histones, to see if changes in the patterns of the chemical marks on them might reveal any secrets, at the cellular level, of the aging process we all experience — and, perhaps, whether there might be anything we can do about it. Rando and his colleagues also wanted to learn more about what kinds of difference in these patterns accompany a cell's transition from one level of activity to another. To do that, Rando and his team looked at satellite cells, an important class of stem cells that serve as a reserve army of potential new muscle tissue. Under normal circumstances, these rather rare stem cells sit quietly adjacent to muscle fibres. But some signal provided by muscular injury or degeneration prompts satellite cells to start dividing and then to integrate themselves into damaged fibres, repairing the muscle tissue. The investigators profiled the histone markings of mice that are as old, in mouse years, as young human adults, as well as mice whose human counterparts would be 70 to 80 years old. The researchers harvested satellite cells from both healthy and injured muscle tissue of young mice and from healthy tissue of old mice; extracted these cells' DNA with the histone coatings intact; and used tagged antibodies targeting the different kinds of marks to find which spots on those histones were flagged with either "stop" or "go" signals. "Satellite cells can sit around for practically a lifetime in a quiescent state, not doing much of anything. But they're ready to transform to an activated state as soon as they get word that the tissue needs repair," Rando said. "So, you might think that satellite cells would be already programmed in a way that commits them solely to the 'mature muscle cell' state." The researchers expected that in these quiescent stem cells, the genes specific for other tissues like skin and brain would be marked by "stop" signals. Instead, they found, in quiescent satellite cells taken from the younger mice, copious instances in which histones in the vicinity of genes ordinarily reserved for other tissues were marked with both "stop" and "go" signals, just as genes associated with development to mature-muscle status were. "We weren't looking for that, and we certainly weren't expecting it," Rando said. "We figured all the muscle genes would be either poised for activity — marked with both 'on' and 'off' signals — or 'on,' and that all the other genes would be turned off. 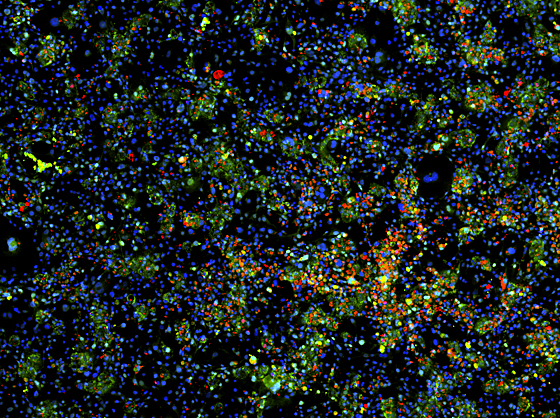 But when you look at these satellite cells the way we did, they seem ready to become all kinds of cells. It's a mystery," he said, suggesting that it could mean stem cells thought to be committed to a particular lineage may be capable of becoming other types of tissue entirely. "Maybe their fates are not permanently sealed," he said. "The door is not locked. Who knows what could happen if they're given the right signals?" The Rando lab is now beginning to test this proposition. Oddly, activated satellite cells from injured muscle tissue featured far more gene-associated "stop" signals than did quiescent ones. "As a cell goes from quiescent to activated state, you might expect to see more genes marked by 'on' signals," Rando said. "We found the opposite. The dominant pattern when cells become activated is a big increase in repressive marks across the genome. Apparently it's not until then that a satellite cell makes the effort to turn off all of its non-muscle options." The differences between quiescent and activated cells, Rando's team found, are mirrored by those between young and old quiescent satellite cells. "With age, there's an uptick in repressive markers. A lot more genes are locked in the 'off' position," he said. The meaning of this is not yet clear, he added. "In a division-capable cell, as opposed to the non-dividing, differentiated muscle cells that activated satellite cells may someday become, it may be important to maintain a high level of repression with age. Maybe this increase in repression is a kind of tumour-suppression mechanism, keeping aging satellite cells — which could have accumulated some dangerous mutations over the passing months and years — in check." The description of the histone-code differences between young and old cells constitutes a yardstick allowing investigators to ask which of these differences are important in aging and in rejuvenation, Rando said. "We don't have the answers yet. But now that we know what kinds of changes occur as these cells age, we can ask which of these changes reverse themselves when an old cell goes back to becoming a young cell" — as appeared to be the case when tissues of older mice were exposed to blood from younger mice. Rando's group is now looking to test whether the signatures they've identified in satellite cells generalize to other kinds of adult stem cells as well. MIT biologists have discovered a mechanism that allows cells to read their own DNA in the correct direction and prevents them from copying most of the so-called "junk DNA" that makes up long stretches of our genome. Only about 15 percent of the human genome consists of protein-coding genes, but in recent years scientists have found that a surprising amount of the junk, or intergenic DNA, does get copied into RNA — the molecule that carries DNA's messages to the rest of the cell. "This is part of an RNA revolution where we're seeing different RNAs and new RNAs that we hadn't suspected were present in cells, and trying to understand what role they have in the health of the cell or the viability of the cell," says Sharp, who is a member of MIT's Koch Institute for Integrative Cancer Research. "It gives us a whole new appreciation of the balance of the fundamental processes that allow cells to function." When the RNA polymerase reaches a stop signal at the end of a gene, it halts transcription and adds to the mRNA a sequence of bases known as a poly-A tail, which consists of a long string of the genetic base adenine. This process, known as polyadenylation, helps to prepare the mRNA molecule to be exported from the cell's nucleus. The function of all of this upstream noncoding RNA is still a subject of much investigation. "That transcriptional process could produce an RNA that has some function, or it could be a product of the nature of the biochemical reaction. This will be debated for a long time," Sharp says. "Once you see some data like this, it raises many more questions to be investigated, which I'm hoping will lead us to deeper insights into how our cells carry out their normal functions and how they change in malignancy," Sharp says. 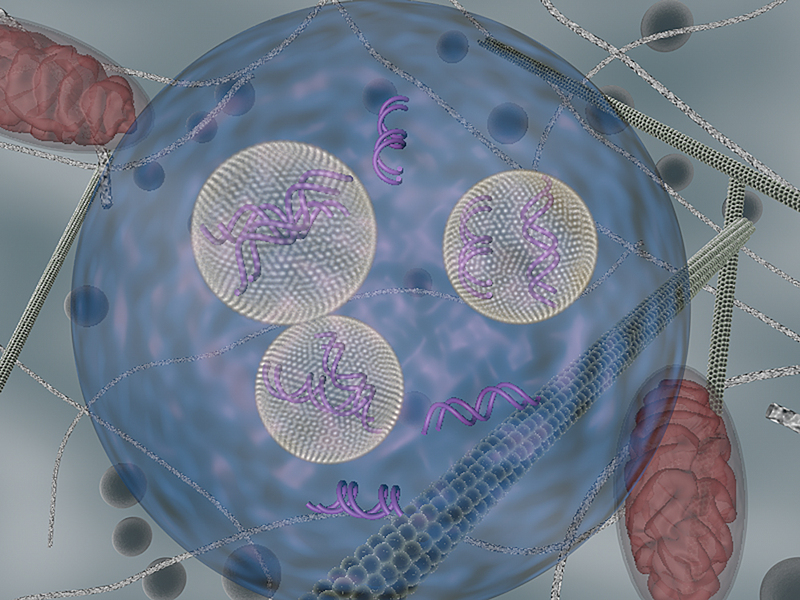 A new study from MIT sheds light on the nanoparticles' fate and suggests new ways to maximize delivery of the RNA strands they are carrying, known as short interfering RNA (siRNA). "We've been able to develop nanoparticles that can deliver payloads into cells, but we didn't really understand how they do it," says Daniel Anderson, the Samuel Goldblith Associate Professor of Chemical Engineering at MIT. "Once you know how it works, there's potential that you can tinker with the system and make it work better." Anderson, a member of MIT's Koch Institute for Integrative Cancer Research and MIT's Institute for Medical Engineering and Science, is the leader of a research team that set out to examine how the nanoparticles and their drug payloads are processed at a cellular and subcellular level. Their findings appear in the June 23 issue of Nature Biotechnology. Robert Langer, the David H. Koch Institute Professor at MIT, is also an author of the paper. One RNA-delivery approach that has shown particular promise is packaging the strands with a lipid like material; similar particles are now in clinical development for liver cancer and other diseases. Through a process called RNA interference, siRNA targets messenger RNA (mRNA), which carries genetic instructions from a cell's DNA to the rest of the cell. When siRNA binds to mRNA, the message carried by that mRNA is destroyed. Exploiting that process could allow scientists to turn off genes that allow cancer cells to grow unchecked. Scientists already knew that siRNA-carrying nanoparticles enter cells through a process, called endocytosis, by which cells engulf large molecules. The MIT team found that once the nanoparticles enter cells they become trapped in bubbles known as endocytic vesicles. This prevents most of the siRNA from reaching its target mRNA, which is located in the cell's cytosol (the main body of the cell). "We believe that these particles can be made more efficient. They're already very efficient, to the point where micrograms of drug per kilogram of animal can work, but these types of studies give us clues as to how to improve performance," Anderson says. They also identified a protein called Niemann Pick type C1 (NPC1) as one of the major factors in the nanoparticle-recycling process. Without this protein, the particles could not be excreted from the cells, giving the siRNA more time to reach its targets. "In the absence of the NPC1, there's a traffic jam, and siRNA gets more time to escape from that traffic jam because there is a backlog," says Gaurav Sahay, an MIT postdoc and lead author of the Nature Biotechnology paper. "We focused on MODY, a form of diabetes that affects approximately one in 10,000 people. While patients and other models have yielded important clinical insights into this disease, we were particularly interested in its molecular aspects — how specific genes can affect responses to glucose by the beta cell," said co-senior author Dieter Egli, PhD, Senior Research Fellow at NYSCF, who was named a NYSCF–Robertson Stem Cell Investigator in 2012. MODY patients are frequently misdiagnosed with type 1 or 2 diabetes. Proper diagnosis can not only change the patient's course of treatment but affect family members, who were previously unaware that they, too, might have this genetic disorder. NYSCF scientists took skin cells from two Berrie Center type 2 MODY patients and "reprogrammed" — or reverted — them to an embryonic-like state to become iPS cells. To examine the effect of the GCK genetic mutation, they also created two genetically manipulated iPS cell lines for comparison: one fully functional (two correct copies of the GCK gene) and one with complete loss of function (two faulty copies of the GCK gene). They then generated beta cell precursors from the fully functional and loss-of-function iPS cell lines and transplanted the cells for further maturation into immune-compromised mice. 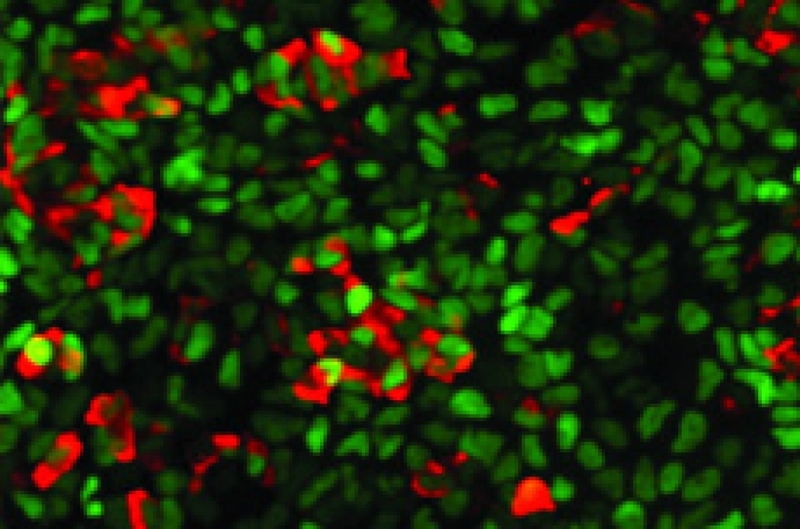 "Our ability to create insulin-producing cells from skin cells, and then to manipulate the GCK gene in these cells using recently developed molecular methods, made it possible to definitively test several critical aspects of the utility of stem cells for the study of human disease," said Haiqing Hua, PhD, lead author on the paper, a postdoctoral fellow in the Division of Molecular Genetics, Department of Pediatrics and Naomi Berrie Diabetes Center at Columbia University and the New York Stem Cell Foundation Research Institute. When given a glucose tolerance test three months later, mice with MODY beta cells had decreased sensitivity to glucose but a normal response to other molecules that stimulate insulin secretion. This is the hallmark of MODY. Mice with two faulty copies of the GCK gene secreted no additional insulin in response to glucose. When the researchers repaired the GCK mutation using molecular techniques, cells with two restored copies of GCK responded normally to the glucose stress test. Unlike other reported techniques, the researchers' approach efficiently repaired the GCK mutation without introducing any potentially harmful additional DNA. "Generation of patient-derived beta cells with gene correction could ultimately prove to be a useful cell-replacement therapy by restoring patients' ability to regulate their own glucose. This result is truly exciting," said Susan L. Solomon, Chief Executive Officer of The New York Stem Cell Foundation. The researchers also used an electron microscope to assess beta cells for insulin content by counting granules — packages that store insulin for release. Even though all beta cell types had a similar number of granules, complete loss of function of the GCK gene was associated with decreased beta-cell production. "These studies provide a critical proof-of-principle that genetic characteristics of patient-specific insulin-producing cells can be recapitulated through use of stem cell techniques and advanced molecular biological manipulations. This opens up strategies for the development of new approaches to the understanding, treatment, and, ultimately, prevention of more common types of diabetes," said co-senior author Rudolph Leibel, MD, Christopher Murphy Memorial Professor of Diabetes Research, Columbia University Medical Center, and Director, Division of Molecular Genetics, and Co-Director of the Naomi Berrie Diabetes Center. Mammals possess the remarkable ability to regenerate a lost fingertip, including the nail, nerves and even bone. In humans, an amputated fingertip can sprout back in as little as two months, a phenomenon that has remained poorly understood until now. In a paper published today in the journal Nature, researchers at NYU Langone Medical Center shed light on this rare regenerative power in mammals, using genetically engineered mice to document for the first time the biochemical chain of events that unfolds in the wake of a fingertip amputation. The findings hold promise for amputees who may one day be able to benefit from therapies that help the body regenerate lost limbs. "Everyone knows that fingernails keep growing, but no one really knows why," says lead author Mayumi Ito, PhD, assistant professor of dermatology in the Ronald O. Perelman Department of Dermatology at NYU School of Medicine. Nor is much understood about the link between nail growth and the regenerative ability of the bone and tissue beneath the nail. Now, Dr. Ito and team have discovered an important clue in this process: a population of self-renewing stem cells in the nail matrix, a part of the nail bed rich in nerve endings and blood vessels that stimulate nail growth. Moreover, the scientists have found that these stem cells depend upon a family of proteins known as the "Wnt signalling network" — the same proteins that play a crucial role in hair and tissue regeneration — to regenerate bone in the fingertip. "When we blocked the Wnt-signalling pathway in mice with amputated fingertips, the nail and bone did not grow back as they normally would," says Dr. Ito. Even more intriguing, the researchers found that they could manipulate the Wnt pathway to stimulate regeneration in bone and tissue just beyond the fingertip. "Amputations of this magnitude ordinarily do not grow back," says Dr. Ito. These findings suggest that Wnt signalling is essential for fingertip regeneration, and point the way to therapies that could help people regenerate lost limbs. An estimated 1.7 million people in the U.S. live with amputations. Scientists at the Danish Stem Cell Center, DanStem, at the University of Copenhagen have discovered that they can make embryonic stem cells regress to a stage of development where they are able to make placenta cells as well as the other foetal cells. This significant discovery, published in the journal Cell Reports today, has the potential to shed new light on placenta related disorders that can lead to problematic pregnancies and miscarriages. development as described in Morgani et al..
Embryonic stem cells can make all kinds of adult cells in the human body such as muscle, blood or brain cells. However, these embryonic stem cells are created at a point when the embryo has already lost the ability to make extra-embryonic tissue such as placenta and yolk sac. Extra-embryonic tissues are formed at the very earliest stage of development right after fertilization and are essential for the growth of the embryo and its implantation in the womb. A team of scientists at the Danish Stem Cell Center, DanStem, at the University of Copenhagen have shown that it is possible to rewind the developmental state of embryonic stem cells. By maintaining mouse embryonic stem cells under certain conditions, they found that cells appear to regress and resemble extremely early embryo cells that can form any kind of cell including placenta and yolk sac cells. "It was a very exciting moment when we tested the theory," says Professor Josh Brickman from DanStem. "We found that not only can we make adult cells but also placenta, in fact we got precursors of placenta, yolk sac as well as embryo from just one cell." "This new discovery is crucial for the basic understanding of the nature of embryonic stem cells and could provide a way to model the development of the organism as a whole, rather than just the embryonic portion. In this way we may gain greater insight into conditions where extra-embryonic development is impaired, as in the case of miscarriages," added Sophie Morgani, PhD student at DanStem and first author of the paper. Brickman and colleagues grew their embryonic stem cells in a solution containing LIF, which is a protein known to somehow support embryonic stem cells but also for its role in implantation of the embryo into the uterus. As implantation is stimulated by the cells that will become the placenta, not the embryo, these roles appeared to be contradictory. The DanStem study resolved this contradiction by revealing that LIF helps maintain the cells in their regressed, early stage of development. "In our study we have been able to see the full picture unifying LIF's functions: What LIF really does, is to support the very early embryo state, where the cells can make both embryonic cells and placenta. This fits with LIFs' role in supporting implantation," Josh Brickman says. Researchers are still fascinated by the idea of the possibility of reprogramming the cells of any tissue, turning them into cells with the capacity to differentiate into cells of a completely different type — pluripotent cells — and they are still striving to understand how it happens. It is also known that TRF1 is indispensable for protecting telomeres, the ends of chromosomes. Existing evidence suggests that the length of telomeres and pluripotency — the capacity of a cell to differentiate into multiple cell types — are related. Pluripotent cells, for example, have very long telomeres — a previous finding at CNIO — but until now no protective protein for the telomeres had been found that was essential for pluripotency. To investigate the connection between telomeres and pluripotency, researchers generated a 'reporter' mouse: they linked together the TRF1 gene and the gene coding for a green fluorescent protein and created a lineage of mice carrying this new genetic baggage. In these animals, the green fluorescent protein acts as a label to show expression of TRF1. They discovered that TRF1 is an excellent marker for stem cells, both in adult stem cells — those that are found in tissues and the different organs of the body — and embryonic stem cells. It is also the case with 'induced pluripotent' stem cells (iPS cells), which are pluripotent cells that come from artificially reprogrammed specialised cells. "TRF1 distinguishes adult stem cells and is indispensable for their functioning". The discovery is useful for both identifying and eventually isolating the stem cell population in tissues, something that is important for the development of regenerative medicine. The cells in which TRF1 is expressed are also the most pluripotent. "The expression of TRF1 is an indicator of pluripotency. Those iPS cells that express the highest levels of TRF1 are also the most pluripotent. Furthermore, we demonstrate that TRF1 is necessary for the induction and maintenance of pluripotency, inhibiting the triggering of DNA damage responses and apoptosis ('cell suicide')". In a pair of distinct but complementary papers, researchers at the University of California, San Diego School of Medicine and colleagues illuminate the functional importance of a relatively new class of RNA molecules. The work, published online this week in the journal Nature, suggests modulation of "enhancer-directed RNAs" or "eRNAs" could provide a new way to alter gene expression in living cells, perhaps affecting the development or pathology of many diseases. Enhancers are sequences in the genome that act to boost or "enhance" the activity or expression of nearby genes. They "often behave in a cell-specific manner and play an important role in establishing a cell's identity and functional potential," said Christopher Glass, MD, PhD, a professor in the department of Medicine and Cellular and Molecular Medicine at UC San Diego and principal investigator of one of the papers. Although enhancers have been recognized for more than 25 years, scientists have laboured to fully flesh out the breadth and complexity of what enhancers do and how they do it. In 2010, it was discovered that enhancers directed expression of RNA on a broad scale in neurons and macrophages, a type of immune system cell. Dubbed eRNAs, they were different from other classes of nuclear non-coding RNAs, and raised new questions about their potential roles in the functions of enhancers. The two Nature papers attempt to answer some of these questions. In the first, principal investigator Glass and colleagues investigated a pair of related transcriptional repressors called Rev-Erb-alpha and Rev-Erb-beta (proteins with important roles in regulating the circadian rhythm in many cell types) in mouse macrophages. Using genome-wide approaches, they found that the Rev-Erb proteins repressed gene expression in macrophages primarily by binding to enhancers. Collaboration with researchers at the Salk Institute for Biological Studies revealed that the repressive function of Rev-Erbs was highly correlated with their ability to repress the production of eRNAs. 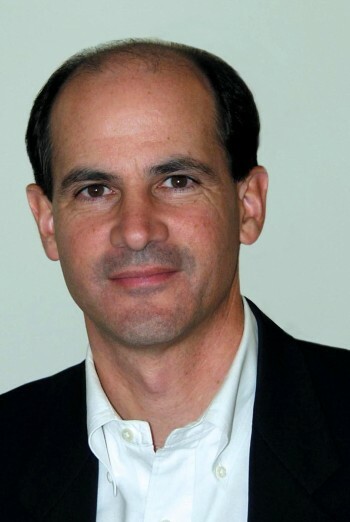 In the second paper, principal investigator Michael G. Rosenfeld, MD, a professor in the UC San Diego Department of Medicine and Howard Hughes Medical Institute investigator, and colleagues looked at oestrogen receptor binding in human breast cancer cells – and its impact on enhancer transcription. In contrast to the repressive functions of Rev-Erbs, oestrogen receptors (ERs) activate gene expression; but, like Rev-Erbs, they primarily function by also binding to enhancers. ER binding was shown to be associated with increases in enhancer-directed eRNAs in the vicinity of oestrogen-induced genes, and to exert roles on activation of coding target genes. Both papers offer new evidence that eRNAs significantly contribute to enhancer activity, and therefore to expression of nearby genes. "Because many broadly expressed genes that play key roles in essential cellular functions are under the control of cell-specific enhancers, the ability to affect enhancer function by knocking down eRNAs could potentially provide a new strategy for altering gene expression in vivo in a cell-specific manner," said Glass, noting that in his research, anti-sense oligonucleotides were developed in conjunction with Isis Pharmaceuticals, which suppressed enhancer activity and reduced expression in nearby genes. Prometheus, the mythological figure who stole fire from the gods, was punished for this theft by being bound to a rock. Each day, an eagle swept down and fed on his liver, which then grew back to be eaten again the next day. Modern scientists know there is a grain of truth to the tale, says MIT engineer Sangeeta Bhatia: The liver can indeed regenerate itself if part of it is removed. However, researchers trying to exploit that ability in hopes of producing artificial liver tissue for transplantation have repeatedly been stymied: Mature liver cells, known as hepatocytes, quickly lose their normal function when removed from the body. "It's a paradox because we know liver cells are capable of growing, but somehow we can't get them to grow" outside the body, says Bhatia, the John and Dorothy Wilson Professor of Health Sciences and Technology and Electrical Engineering and Computer Science at MIT, a senior associate member of the Broad Institute and a member of MIT's Koch Institute for Integrative Cancer Research and Institute for Medical Engineering and Science. Now, Bhatia and colleagues have taken a step toward that goal. In a paper appearing in the June 2 issue of Nature Chemical Biology, they have identified a dozen chemical compounds that can help liver cells not only maintain their normal function while grown in a lab dish, but also multiply to produce new tissue. Cells grown this way could help researchers develop engineered tissue to treat many of the 500 million people suffering from chronic liver diseases such as hepatitis C, according to the researchers. Lead author of the paper is Jing (Meghan) Shan, a graduate student in the Harvard-MIT Division of Health Sciences and Technology. Members of Bhatia's lab collaborated with researchers from the Broad Institute, Harvard Medical School and the University of Wisconsin. Bhatia has previously developed a way to temporarily maintain normal liver-cell function after those cells are removed from the body, by precisely intermingling them with mouse fibroblast cells. For this study, funded by the National Institutes of Health and Howard Hughes Medical Institute, the research team adapted the system so that the liver cells could grow, in layers with the fibroblast cells, in small depressions in a lab dish. This allowed the researchers to perform large-scale, rapid studies of how 12,500 different chemicals affect liver-cell growth and function. The liver has about 500 functions, divided into four general categories: drug detoxification, energy metabolism, protein synthesis and bile production. David Thomas, an associate researcher working with Todd Golub at the Broad Institute, measured expression levels of 83 liver enzymes representing some of the most finicky functions to maintain. After screening thousands of liver cells from eight different tissue donors, the researchers identified 12 compounds that helped the cells maintain those functions, promoted liver cell division, or both. Two of those compounds seemed to work especially well in cells from younger donors, so the researchers — including Robert Schwartz, an IMES postdoc, and Stephen Duncan, a professor of human and molecular genetics at the University of Wisconsin — also tested them in liver cells generated from induced pluripotent stem cells (iPSCs). Scientists have tried to create hepatocytes from iPSCs before, but such cells don't usually reach a fully mature state. However, when treated with those two compounds, the cells matured more completely. Bhatia and her team wonder whether these compounds might launch a universal maturation program that could influence other types of cells as well. 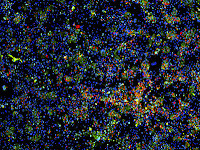 Other researchers are now testing them in a variety of cell types generated from iPSCs. In future studies, the MIT team plans to embed the treated liver cells on polymer tissue scaffolds and implant them in mice, to test whether they could be used as replacement liver tissues. They are also pursuing the possibility of developing the compounds as drugs to help regenerate patients' own liver tissues, working with Trista North and Wolfram Goessling of Harvard Medical School. Bhatia and colleagues have also recently made progress toward solving another challenge of engineering liver tissue, which is getting the recipient's body to grow blood vessels to supply the new tissue with oxygen and nutrients. In a paper published in the Proceedings of the National Academy of Sciences in April, Bhatia and Christopher Chen, a professor at the University of Pennsylvania, showed that if preformed cords of endothelial cells are embedded into the tissue, they will rapidly grow into arrays of blood vessels after the tissue is implanted. To achieve this, Kelly Stevens in the Bhatia lab worked with Peter Zandstra at the University of Toronto to design a new system that allows them to create 3-D engineered tissue and precisely control the placement of different cell types within the tissue. This approach, described in the journal Nature Communications in May, allows the engineered tissue to function better with the host tissue. "Together, these papers offer a path forward to solve two of the longstanding challenges in liver tissue engineering — growing a large supply of liver cells outside the body and getting the tissues to graft to the transplant recipient," Bhatia says.